Tessy McGuigan of Ashling Manor is back! The quirky Wise Woman of Ladyslipper, Saskatchewan, is busy deep in the hearth of her home adding a pinch of this and a dab of that to healing potions and remedies filled with lots of love. Tessy, while newly engaged, still relies on her dear, departed husband for guidance. There is so much to do in the next few months: a wedding to plan with her betrothed and a trip to her beloved Ireland. Before that can happen there are mysteries to be solved, new relatives to meet, matches to be made, tales of long past lore to be shared, and visitors to entertain. Through it all she finds time for the children and town folk of Ladyslipper as she entertains and educates them on the ways of a true Wise Woman. Everyone knows the doors are always open at Ashling Manor. Unfortunately, that means the infamous town busybody, Mrs. Chamberlain, can pop in at any time. She makes it her business to interfere in all things that don’t meet her approval, including a new shop in town and Tessy’s upcoming wedding! Fill a cup of your favourite refreshment, then curl up nice ‘n’ comfy and escape with us to Ashling Manor where there’s always something going on. There are even more magical, delicious, herbal, medicinal, and culinary recipes at the back of the book for you to enjoy. Believe, be enlightened, and enjoy…Blessed Be! Purchase your copy of Wise Woman’s Manor from Amazon today! Elaine (Gugin) Maddex lives on an acreage with her husband, Wayne, two dogs, two cats with an entourage of wild birds and local critters. 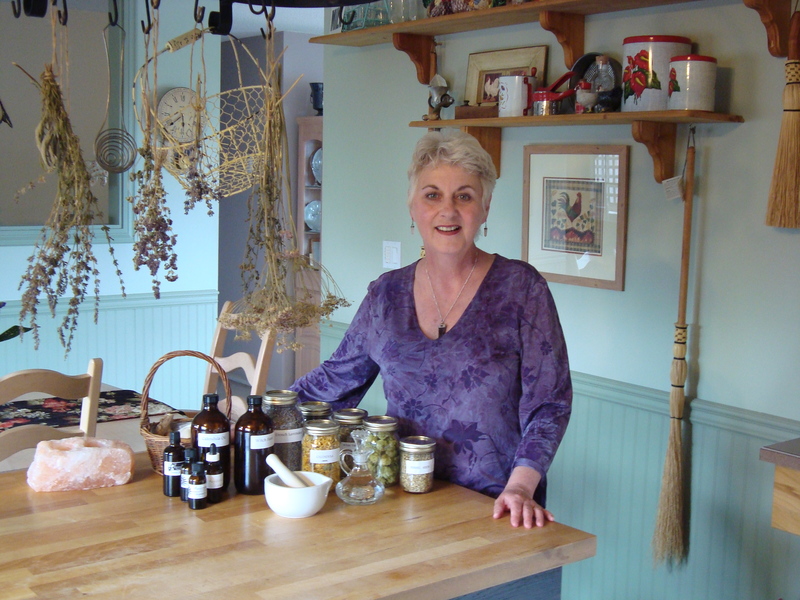 When she is not busy working on her next book, Elaine can often be found in her garden, concocting new herbal recipes, or spending time with her friends and family.